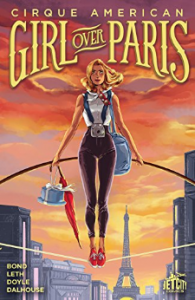 Girl Over Paris by Gwenda Bond and Kate Leth with art by Ming Doyle – In this graphic novel, Jules Maroni, a tightrope walker that fans first met in Bond’s Cirque American novel, travels to Paris with her boyfriend for a prestigious exhibition that will give her a chance to show off her skills. This is an exciting trip and a great opportunity for Jules, but once she arrives in the City of Lights she finds herself haunted by a mysterious ghoul. But, is it the stress getting to her or a real haunting? This story will be a great read for fans of Cirque American as it has reference throughout to Jules’ earlier adventures, but it is very approachable for new fans as well. 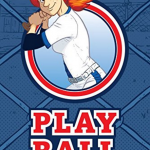 The Guild by Felicia Day with art by Jim Rugg – Felicia Day is famous as an actress for a number of projects, but one that is particularly noteworthy for gamers is her web series The Guild, which follows a group of gamers who meet online to play a role playing game. In this graphic novel, written by Day, fans will get a peek at Codex before the start of the web series. The story offers a glimpse at events referenced in the series and gives new information about how The Guild formed, all in the same tone and style that fans already know. This is sure to impress existing fans of the series and prompt those who haven’t seen it to dive into The Guild. Time Trial: The CHRONOS Files by Rysa Walker and Heather Nuhfer with art by Agustin Padilla – It’s 1931 and Clio Dunne is excited to move to Chicago to pursue her artistic dreams. 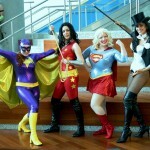 However, her family legacy as a time traveler might make this a bit harder than expected. When a dark figure from her family’s past encounters her in the big city, she finds herself jumping through time to keep the world safe. This graphic novel is perfect for fans of Rysa Walker’s CHRONOS Files world. 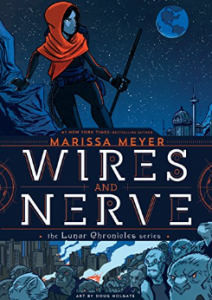 Wires and Nerves: The Lunar Chronicles Series by Marissa Meyer with art by Doug Holgate – In this continuation of The Lunar Chronicles Series, readers follow Iko, an android that fans will remember from Meyer’s other works in this series, as she works to stop a group threatening the peace between Earth and Luna. Filled with artwork that brings this world and the characters that readers have met in other stories to life in a whole new way, this graphic novel is sure to impress fans of the Rampion crew. 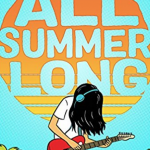 If you know readers who love The Lunar Chronicles, but aren’t sure about graphic novels, be sure to share this book with them! 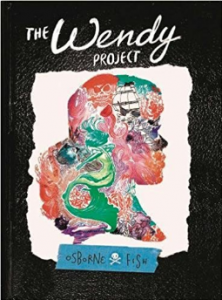 The Wendy Project by Melissa Jane Osborne and Veronica Fish – Debuting this month, The Wendy Project is one upcoming graphic novel that I am really excited to finally read! This work takes a new look at Peter Pan. Set in New England, it tells the story of teenager Wendy Davis whose brother dies in a car accident while she’s driving. In the wake of his death, Wendy believes that he is now with Peter Pan in Neverland, but what is the truth? 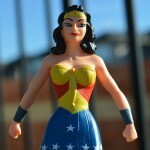 What are some of your favorite graphic novels that build on existing fictional worlds? Let me know in the comics!